"My daughter's smile the first time she put on her glasses is something I will never forget." At Florida Eye Specialists and Cataract Institute we provide specialized pediatric eye care services so that your child maintains clear, strong vision as they grow. Our pediatric eye doctors are highly trained and experienced in the special needs of pediatric eye conditions, offering you the skill and reliability to effectively treat these conditions. That’s why more and more parents in the Tampa area trust their children’s eye care to us. Children experience the same vision problems as adults, including nearsightedness, farsightedness and astigmatism, as well as congenital vision conditions such as lazy eye (amblyopia) and crossed eyes (strabismus), which can significantly affect proper vision development. Young children may be unaware of the fact that they are experiencing abnormal vision, which is why regular exams and early detection are essential in maintaining healthy eyes for your child. Children should have their first eye exam at about age two, although it’s never too early to test a child’s vision and eye health. Comprehensive eye exams are essential in the diagnosis and treatment of vision problems, injury and disease. Early detection allows for treatment to begin before any permanent damage has been done. Annual vision tests help ensure the proper development of your child’s vision and prevent any interference with their academic achievements, since vision is closely linked to the learning process. 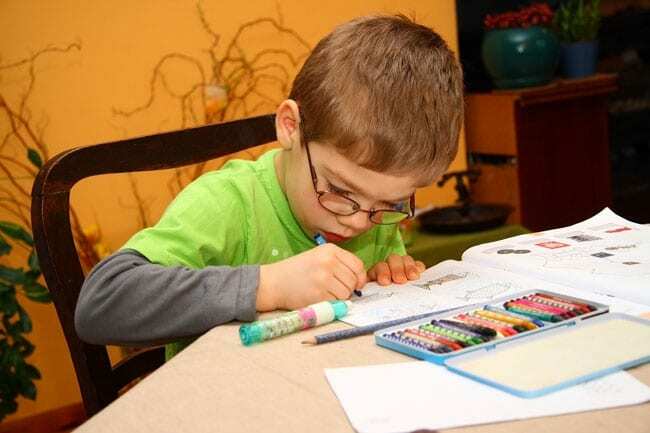 Children with undetected vision problems often have trouble with their schoolwork. Many times, children will not complain of vision problems simply because they don’t know what “normal” vision looks like. If your child is performing poorly at school, be sure to have their eyes examined to rule out an underlying visual cause. Some common symptoms to look for include squinting, sitting close to item, or asking questions to clarify what they are seeing. Pediatric eye exams test visual acuity, eye tracking, and focusing skills, and detect problems such as nearsightedness, farsightedness, lazy eye, crossed eyes, dyslexia, and color blindness, and should be performed on a yearly basis. It’s important to understand the difference between a pediatric eye exam and a vision screening. A visual screening is a limited eye test that only tests vision, commonly performed by a school nurse, pediatrician or other health care provider. Vision screenings can indicate if your child needs to get their eyes checked, but they are not a substitute for a comprehensive eye exam. Only an eye doctor such as an optometrist or ophthalmologist can perform a comprehensive pediatric eye exam that carefully tests all aspects of your child’s vision to evaluate the overall health of the eye and detect any changes that indicate a vision disorder. At Florida Eye Specialists and Cataract Institute, we strive to provide the highest quality of care, using the latest tools and technology, so that your child can achieve optimal vision and eye health. If your child should need treatment, our Pediatric Eye Doctor will develop a customized treatment plan based on their individual condition. Remember, a comprehensive pediatric eye exam is your best tool for maintaining your child’s eye health by detecting and preventing disease.